A strong supporter of Additive Manufacturing technologies, NASA has long recognized the potential of this technology to significantly reduce the production time and costs not only within the aerospace industry but across a wide range of industries. 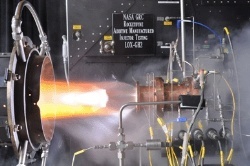 A recent partnership between NASA and provider of propulsion and energetics to the space sector Aerojet Rocketdyne may have brought Additive Manufacturing technologies one step closer to use in full scale production of critical aerospace components. Suitability testing took the form of hot fire testing where a rocket injector assembly underwent a series of firings of a liquid oxygen and gaseous hydrogen. This injector component forms the heart of a rocket engine representing a lions share of the overall cost of rocket engine systems. Using traditional manufacturing techniques the injector would take more than a year to produce however the use of Additive Manufacturing tecnologies cuts this lead time to less than 4 months and reduces cost of production by 70%. Comments Off on 3D Printers now available in store! 3D Printers now available in store! Electronics giant Maplin is set to be the first high street retailer to sell 3D printers for use in the home. The Velleman K8200 will retail at £700.00 and allow customers to build any object layer by layer from virtual 3D modelling software, provided it is below 20cm³. 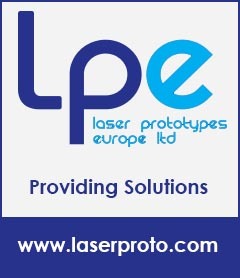 Certain restrictions will apply such as the ability to only print one colour at a time. However with a choice of 8 print colors available, and replacement cartridges costing only £30 for 1kg, it will be possible to print your multicolored design in separate pieces and attach them together later. We at 3D Printing News are looking forward to seeing just what this printer can do in stores later this year!